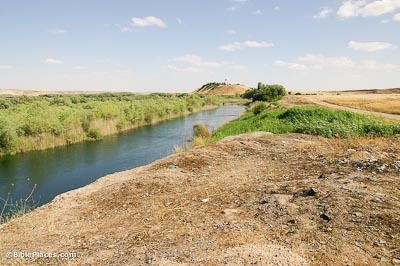 The site of Carchemish is located on the west bank of the Euphrates River, straddling the modern Turkey-Syria border. The site consists of a citadel, an inner town, and an outer town. The citadel and inner town lie in Turkey, and most of the outer town, about 40 percent of the entire site, lies in Syria. It is situated at the northern end of a river plain about 3 miles (4.8 km) wide on the Carchemish side of the river, and 5 miles (8 km) in length, surrounded by limestone hills. Carchemish is mentioned in the Ebla texts at the end of the Early Bronze Age, and in the letters from Mari in the Middle Bronze II, when it was a dependency of the kingdom of Yamhad (Aleppo). In the 14th century BC, the Hittite king Suppiluliuma I conquered Mitanni and appointed one of his sons as viceroy at Carchemish and another son as ruler in Aleppo. After the fall of the Hittite empire, the Hittite dynastic line continued at Carchemish for several generations into the Neo-Hittite period. It has produced the largest number of Neo-Hittite sculptures and Hieroglyphic Luwian inscriptions from any single site. Carchemish is mentioned in the western campaigns of several Assyrian kings. In 717 BC, Sargon II made Carchemish an Assyrian province and appointed a governor. After the fall of Nineveh, the Assyrian kings removed to Haran, and then to Carchemish. In 605 BC, Pharaoh Necho II and the Egyptian army came to Assyria’s aid and faced Nebuchadnezzar II in battle at Carchemish (Jer. 46:2). In a pro-Babylonian move, King Josiah attempted to prevent the Egyptian advance at Megiddo, but he was fatally wounded (2 Chr. 35:20-25). The Berlin-Baghdad railway was constructed in 1903-1940. In 1910-1911, German engineers constructed a bridge for the rail line over the Euphrates River at Carchemish. 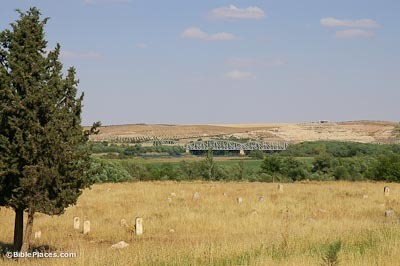 The bridge now lies on the border between Turkey and Syria and is no longer in use. 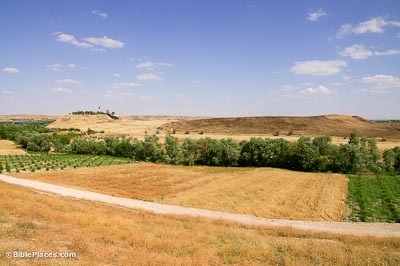 Its location provides a modern confirmation of Carchemish’s strategic geographic position. See also Ararat-Urartu, Haran, Hattusha, Karatepe, and Nemrut Dag. Battle of Carchemish (Wikipedia) Describes the battle in 605 B.C. between Babylonia, on the one side, and Assyria and Egypt, on the other. 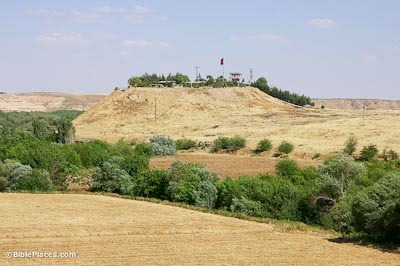 Carchemish, Turkey (David Padfield) Summarizes the Battle of Carchemish and provides biblical references to the site. 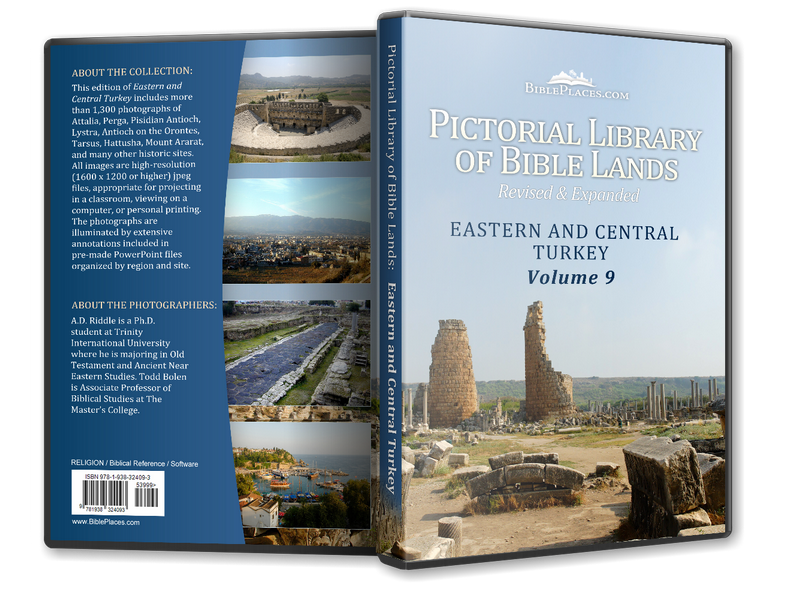 Revisiting Carchemish: The Land of Carchemish Project in Syria, 2009 & 2010 (Antiquity) Describes archaeological work of the Carchemish Outer Town Project on the Syrian side. “Ancient city to rise in SE Turkey area cleared of mines” (Hurriyet Daily News) Describes the resumption of archaeological activity on the Turkish side in 2011.